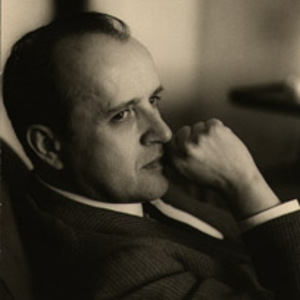 Nino Rota (December 3, 1911 - April 10, 1979) was an Italian composer. He is particularly remembered for his work on film scores, especially The Godfather series and a number of films by Federico Fellini. Rota was born into a musical family in Milan, and studied at the conservatory there under Ildebrando Pizzetti. Later, the conductor Arturo Toscanini encouraged him to go to Philadelphia, Pennsylvania to study. This he did, where he worked under Fritz Reiner, amongst others. He later returned to Milan, where he wrote a thesis on the renaissance composer Gioseffo Zarlino. Rota was born into a musical family in Milan, and studied at the conservatory there under Ildebrando Pizzetti. Later, the conductor Arturo Toscanini encouraged him to go to Philadelphia, Pennsylvania to study. This he did, where he worked under Fritz Reiner, amongst others. He later returned to Milan, where he wrote a thesis on the renaissance composer Gioseffo Zarlino. Rota wrote his first film score in 1944 for Zaza, a film directed by Renato Castellani. He later met the director Federico Fellini while the latter was working on his first film, Lo Sceicco Bianco. The two collaborated on many occasions, with Rota's score for 8 1/2 often cited as one of the main factors which makes the film more cohesive. His score for Fellini's Juliet of the Spirits (1965) included a collaboration with Eugene Walter on the song, "Go Milk the Moon" (cut from the final version of the film), and they teamed again for the song "What Is Youth," part of Rota's score for Franco Zeffirelli's Romeo and Juliet. After his death Rota's music was the subject of the 1981 tribute album Amarcord Nino Rota. Produced by Hal Willner it is regarded as the first 'modern' tribute album. Rota's scores for Fellini have served as very recognizable inspiration for Danny Elfman's movie scores. Although best known for his work in films, Rota also composed ten operas, five ballets and many other instrumental works. In 2005 his opera Aladino e la lampada magica has been performend in German translation at the Vienna State Opera with Cosmin Ifrim in the title role and released on DVD.